Easter egg hunt for adults, 10 a.m., MacKenzie-Childs, 3260 Route 90, Aurora. First come, first served until eggs are found. Pictures with the Easter Bunny until noon. Call (315) 364-6118 or visit mackenzie-childs.com. Blood drive, 2 to 7 p.m., Fingerlakes Mall, 1579 Clark St. Road, Aurelius. Visit redcrossblood.org or call (800) RED CROSS. Easter family fun: Photos with the Easter Bunny, 2 to 8 p.m.; Create a hanging bunny craft, 3 to 7 p.m., Bass Pro Shops, 1579 Clark St. Road, Aurelius. Free and open to the public. Visit basspro.com. Presentation: "Around the World With William Seward," 6 p.m., Aurora Inn, 391 Main St., Aurora. Dr. Jeffrey Ludwig of the Seward House Museum will present on the secretary of state's travels and descriptions of what he encountered. Free and open to the public. Visit innsofaurora.com or call (315) 364-8888. "Visual Noise" closing reception and poster sale, 6:30 to 8:30 p.m., String Room Gallery, Wells College, 170 Main St., Aurora. Coincides with residency by Amos Paul Kennedy Jr. April 15-19. Free and open to the public. Visit wells.edu. Walk When the Moon is Full, 8 p.m., Sterling Nature Center, 15730 Jensvold Road, Sterling. Free and open to the public. Call (315) 947-6143 or email snc@cayugacounty.us. Spring Premiere Horse Show, 8 a.m., Toyota Coliseum, New York State Fairgrounds, 581 State Fair Blvd., Geddes. For admission information, visit nysfairgrounds.ny.gov. Lenten fish dinners, 4 to 8 p.m., Knights of Columbus, 47 Market St., Auburn. Dinners by Maggie's Pies and Pasta. Music by Mark Fishlock from 6 to 9 p.m.
Alcoholics Anonymous, 8 p.m., Westminster Presbyterian Church, 17 William St., Auburn. Mark Fishlock, 6 to 9 p.m., Knights of Columbus, 47 Market St., Auburn. Fish dinners available. No cover. Vocalist Bob Seely, 7 to 11 p.m., Auburn Moose Lodge No. 1419, 83 Wall St., Auburn. No cover; for members and guests. Call (315) 253-2301. CC Ryder, 7 to 10 p.m., Next Chapter Brewpub, Genesee Center, 100 Genesee St., Auburn. No cover. Visit facebook.com/nextchapterbrew. Caleb Liber, 8 to 11 p.m., LakeHouse Pub, 6 W. Genesee St., Skaneateles. No cover. Call (315) 554-8194. Modafferi, 9 p.m. to midnight, Moondog's Lounge, 24 State St., Auburn. No cover. Call (315) 253-3339 or visit moondoglounge.com. Buggin' Out with BSG and Segundo Chino, 8 p.m., Lost Horizon, 5836 Thompson Road, Syracuse. For ticket information, visit ticketmaster.com. Spring Break: Spring Basket Craft and Suncatchers, 11 a.m., Seymour Library, 176-178 Genesee St., Auburn. Visit seymourlibrary.org or call (315) 252-2571. Easter STEAM, 11 a.m.; Preschool Story Time, 2 p.m., Skaneateles Library, 49 E. Genesee St., Skaneateles. Free. Call (315) 685-5135. Breakfast with the Easter Bunny, 8 to 11:30 a.m., Jordan-Elbridge Community Center, Route 31, Jordan. Pancakes, sausage, bacon, eggs, toast and home fries. Cost $25 families (two adults and four children); includes a photo with the Easter Bunny. Sponsored by the First Baptist Community Clothing Ministry. Easter Spirit 5K, 9:45 a.m., Everest Park, 5343 County Route 72B, Owasco. With participation medals, chocolate and an Easter egg hunt. Supports the Brian Bisgrove Home of Courage. Visit championsforlife.org. 70th annual Community Easter Egg Hunt, 10 a.m., Hoopes Park, Auburn. Held by the Owasco-Fleming Kiwanis Club. Agre groups: toddler to 5, and 6 to 9. The 9,000 Tootsie Roll-filled eggs include special prizes like stuffed bunnies and candy, as well as a grand prize egg in each age group area; grand prize is a new bike donated by Walmart. Easter Bunny will be on hand for photos. Parents asked to provide children with bags or baskets, and bring a canned good for the St. Alphonsus Food Pantry. Rain or shine. Easter car wash and can/bottle drive, 10 a.m. to 1 p.m., K&S Car Wash, 108 North St., Auburn. Supports Boy Scout Troop 11 with purchase of new gear. Easter egg hunt for children, 10:55 a.m., MacKenzie-Childs, 3260 Route 90, Aurora. More than 4,000 eggs with candy and promotions in age groups birth-3, 4-6 and 7-12. Pictures with the Easter Bunny until noon, and refreshments available. Call (315) 364-6118 or visit mackenzie-childs.com. Easter family fun: Photos with the Easter Bunny, 11 a.m. to 6 p.m.; Construct a standing Easter Bunny, noon to 5 p.m.; Easter egg hunt for ages 2 to 10, 2 to 3 p.m., Bass Pro Shops, 1579 Clark St. Road, Aurelius. Free and open to the public. Visit basspro.com. Breakfast with the Easter Bunny, 9 to 11 a.m.; Easter Bunny visits, 1 to 4 p.m.; Easter egg hunt, 1 p.m., Fingerlakes Mall, 1579 Clark St. Road, Aurelius. Breakfast costs $7 ages 12 and older, $5 ages 4 to 11, free for ages 3 and younger; benefits Soul and Mind Evolution inclusive sensory center. Egg hunt free and open to ages 2 through 12, and includes prize drawings. Call (315) 255-1188 or visit fingerlakesmall.com. Bird Migration Van Tour, 1:30 to 4 p.m., Montezuma Audubon Center, 2295 Route 89, Savannah. Cost $8 children, $15 adults; prepaid reservations required. Call (315) 365-3588 or email montezuma@audubon.org. Weekend Wildflower Walk, 2 to 3 p.m., Baltimore Woods Nature Center, 4007 Bishop Hill Road, Marcellus. Cost $6 members, $9 nonmembers. Visit baltimorewoods.org. Music for Miracles fundraiser for Golisano Children's Hospital, 5 p.m., Auburn Public Theater, 8 Exchange St., Auburn. Featuring MBK Richy, Coughlin, Anna Shelay, Bill Blass, OTM Mere and G the Producer. Tickets $10; includes food. For ages 18 and older. Animal Egg-stravaganza, 10 a.m. to 1 p.m., Rosamond Gifford Zoo, 1 Conservation Place, Syracuse. Visit rosamondgiffordzoo.org. Dino Eggstravaganza, 10 a.m. to 1 p.m., Museum of the Earth, 1259 Trumansburg Road, Ithaca. Egg hunt, activities and more. For admission information, visit priweb.org. Ryan Hurd, 6 p.m., Kegs Canal Side, 7 N. Hamilton St., Jordan. Tickets $12 plus applicable fees. Visit kegscanalside.net. Eric Rapini, 7 to 10 p.m., Parker's Grille & Tap House, 86 Fall St., Seneca Falls. No cover. Call (315) 712-4152. Shelby Weeks and Luke Mock, 7 to 10 p.m., Next Chapter Brewpub, Genesee Center, 100 Genesee St., Auburn. No cover. Visit facebook.com/nextchapterbrew. The Primates, 8:30 p.m., A.T. Walley & Co., 119 Genesee St., Auburn. No cover. Call (315) 282-7314. Dean's List, 9 p.m. to 1 a.m., Tidal Wave at Falcon Lanes, 75 Pulaski St., Auburn. No cover. Call (315) 252-9398. Johnny Rage, 9 p.m. to midnight, Moondog's Lounge, 24 State St., Auburn. No cover. Call (315) 253-3339 or visit moondoglounge.com. Tumbleweed Jones, 9:30 p.m. to 1 a.m., LakeHouse Pub, 6 W. Genesee St., Skaneateles. No cover. Call (315) 554-8194. Anabasis, 7 p.m., Lost Horizon, 5836 Thompson Road, Syracuse. For ticket information, visit ticketmaster.com. Marc Rebillet, 8 p.m., Westcott Theater, 524 Westcott St., Syracuse. For ticket information, visit ticketmaster.com. Springer, 8 p.m., del Lago Resort & Casino, 1133 Route 414, Tyre. No cover. Visit dellagoresort.com. Step workshop, 3 p.m., Aurora Free Library, 370 Main St., Aurora. Wells College's step team, Prodigy, will perform and lead a workshop for all ages. Free and open to the public. Email aurorafreelibrarycny@gmail.com or call (315) 364-8074. Girl Scout cadets archery badge, noon to 2 p.m., Montezuma Audubon Center, 2295 Route 89, Savannah. Cost $20 per Scout; prepaid reservations required. Call (315) 365-3588 or email montezuma@audubon.org. Easter egg hunt, 10 a.m., Ira United Methodist Church, 12479 Ferris Road, Ira. For prekindergarten through eighth grade. Easter family fun: Photos with the Easter Bunny, noon to 5 p.m.; Construct a standing Easter Bunny, noon to 5 p.m.; Easter egg hunt for ages 2 to 10, noon to 4 p.m., Bass Pro Shops, 1579 Clark St. Road, Aurelius. Free and open to the public. Visit basspro.com. Bound for Glory: Joe Crookston, 8 to 11 p.m., Alternatives Library, Anabel Taylor Hall, Cornell University, Ithaca. No cover. Visit boundforglory.org. "Grounded," 4 p.m., Kitchen Theatre, 417 W. State St., Ithaca. For ticket information, call (607) 272-0403 or visit kitchentheatre.org. Sustainability Perspectives: Steve Gabriel presents "The Promise of Silvopasture," 12:20 p.m., deWitt Lecture Room, Zabriskie Hall, Wells College, 170 Main St., Aurora. Free and open to the public. Visit wells.edu. Presentation: "Technology, Health and Fitness," 2:30 to 3:30 p.m., Seymour Library, 176-178 Genesee St., Auburn. Learn how apps can help you be healthier. Visit seymourlibrary.org or call (315) 252-2571. Free rabies clinic, 5 to 7 p.m., Finger Lakes SPCA of CNY, 41 York St., Auburn. For dogs, cats and ferrets 3 months or older. Dogs must be leashed and muzzled if necessary, cats and ferrets must be in appropriate carriers. Bring proof of prior vaccination if requesting a three-year certificate. Visit flspcaofcny.org. Presentation on the Shroud of Turin, 6:30 p.m., St. Francis-St. Clare Ministry Center, 25 Center St., Waterloo. PowerPoint presentation by Frank Netti. Free and open to the public. Monday Night Seminar: "Birds of the Wildest Isle: Expedition Report from St. Matthew Island, Alaska," 7:30 p.m., Cornell Lab of Ornithology, 159 Sapsucker Woods Road, Ithaca. Free and open to the public. Email cornellbirds@cornell.edu. Movie Monday, 1 p.m., Seymour Library, 176-178 Genesee St., Auburn. New Clint Eastwood movie. Visit seymourlibrary.org or call (315) 252-2571. "The Human Element" with photographer James Balog, 7 p.m., Willard Straight Theatre, Cornell University, Ithaca. No cover. Visit cinema.cornell.edu. Breastfeeding Support Group, 4:30 to 6 p.m., Cayuga/Seneca Community Action Agency’s Site II, 1 Brookfield Place, Auburn. Auburn Industrial Development Authority, 5 p.m., first-floor conference room, 2 State St., Auburn. Call (315) 252-3500. Cato-Meridian Central School District, 6:30 p.m., Cato-Meridian Middle School district conference room, 2851 Route 370, Cato. Call (315) 626-3439. Marcellus Village Board, 7 p.m., village hall, 6 Slocumbe Ave., Marcellus. Moravia Village Board, 7 p.m., Moravia Village Hall, 22 Central St., Moravia. Call (315) 497-1820. Southern Cayuga Central School District, 7 p.m., school library, 2384 Route 34B, Poplar Ridge. Union Springs Central School District, 7 p.m., Union Springs High School library, 239 Cayuga St., Union Springs. Call (315) 889-4101. Alcoholics Anonymous, 7 p.m., St. Michael's Church, 162 Cayuga St., Union Springs. Nonsmoking. Closed meeting. Alcoholics Anonymous and Al-Anon, 7:30 p.m., United Methodist Church, 26 Jordan St., Skaneateles. Port Byron Village Board, 7:30 p.m., Port Byron Village Office, 52 Utica St., Port Byron. Call (315) 776-4321. Weedsport Central School District, 7:30 p.m., Weedsport Jr.-Sr. High School board room, 2821 E. Brutus St., Weedsport. Call (315) 834-6637. Animal science club, 6 to 7:30 p.m., Cornell Cooperative Extension of Seneca County, 308 Main St. Shop Centre, Waterloo. Call (315) 539-9251. Junior Scientists: Celebrating Earth Day, 1 p.m., Seymour Library, 176-178 Genesee St., Auburn. Visit seymourlibrary.org or call (315) 252-2571.
Business After Five: R.G. Wright Agency Insurance, 5 to 7 p.m., R.G. Wright Agency, Suite A, 64 South St., Auburn. Learn about the agency's services at this networking event. Visit cayugacountychamber.com. Travelogue: Underwater Excursion, 6 p.m., Seymour Library, 176-178 Genesee St., Auburn. With Henry MacDonald of Finger Lakes Scuba. Visit seymourlibrary.org or call (315) 252-2571. Port Byron Old Erie Canal Heritage Park public information meeting, 6 p.m., at the park, Route 31 entrance, Port Byron. Overview of things planned this year and ways to get involved. Call (315) 776-4582. "Reconnecting with our Roots: Native Streamside Plantings," 7:30 to 8:30 p.m., Skaneateles Historical Society at The Creamery, 28 Hannum St., Skaneateles. Presented by Cornell Cooperative Extension. Free and open to the public. Call (315) 424-9485. Open Mic Night, 7:30 to 10:30 p.m., Auburn Public Theater, 8 Exchange St., Auburn. Admission $2; snacks and beverages available. Visit auburnpublictheater.org or call (315) 253-6669. Workshop: "Sprouts and Microgreens," 6:30 to 7:30 p.m., Seneca County Cornell Cooperative Extension, 308 Main St. Shop Centre, Waterloo. Cost $15 per person; registration required. Email seneca@cornell.edu or call (315) 539-9251. Open Mic Night, 7:30 p.m., Center for the Arts, 72 S. Main St., Homer. Signup begins at 7 p.m. Call (607) 749-4900 or email info@center4art.org. Classic Film Tuesday: "The Chase," 1 p.m., Auburn Public Theater, 8 Exchange St., Auburn. Free and open to the public. Visit auburnpublictheater.org or call (315) 253-6669. "Take it Down!" with filmmakers Sabine Gruffat and Bill Brown, 7 p.m., Willard Straight Theatre, Cornell University, Ithaca. For ticket information, visit cinema.cornell.edu. Free pancake breakfasts, 8:30 to 10 a.m., St. Francis-St. Clare Parish Ministry Center, 35 Center St., Waterloo. Call (315) 539-2944. Job Hunting Employment Group, 10 a.m. to noon, Westminster Presbyterian Church, 17 William St., Auburn. Free. Call (315) 253-3331. Seymour Public Library District Board of Trustees, 5:30 p.m., Seymour Library, 176-178 Genesee St., Auburn. Visit seymourlibrary.org or call (315) 252-2571. Our Families of Heroin Addiction, 6 p.m., Center for Wellness, 1 Hoffman St., Auburn. No Longer Alone Nar-Anon, 6 to 7:15 p.m., Lakes Church, 138 E. Genesee St., Auburn. Cayuga County Legislature, 6 p.m., Cayuga County Office Building, 160 Genesee St., Auburn. Call (315) 253-1308. Auburn Enlarged City School District, 7 p.m., Auburn High School library, 250 Lake Ave., Auburn. Call (315) 255-8835. Multiple Sclerosis Resources of CNY monthly support group, 7 p.m., conference room, Fingerlakes Mall, 1579 Clark St. Road, Aurelius. Call (315) 438-4790. Anxiety, Depression and Panic Attack Support Group, 7 to 8:30 p.m., second-floor conference room, Auburn Community Hospital, 17 Lansing St., Auburn. Call (315) 252-5861. Skaneateles Lions Club, 7 p.m., Sherwood Inn, 26 W. Genesee St., Skaneateles. Visit skanlions.com. Alcoholics Anonymous (women), 7 p.m., Grace Chapel, 1674 Route 20, Skaneateles. Alcoholics Anonymous, 8 p.m., firehouse, Short Cut Road, Fair Haven. Bereavement Support Group, 6:30 to 8:30 p.m., St. Luke Health ervice, 299 E. River Road, Oswego. Visit hopeforbereaved.com. Cayuga Latin Jazz Project, 7:30 p.m., Room M157, Cayuga Community College, 197 Franklin St., Auburn. No cover. Visit cnyjazz.org. Buckethead, 8 p.m., 8 p.m., Westcott Theater, 524 Westcott St., Syracuse. For ticket information, visit ticketmaster.com. Knitting Circle, 2 p.m., Seymour Library, 176-178 Genesee St., Auburn. Visit seymourlibrary.org or call (315) 252-2571. The Hooks and Needles Club, 6 p.m., Port Byron Library, 12 Sponable Drive, Port Byron. Call (315) 776-5694. The Fun Bunch square dance club, 7 to 9 p.m., Community Center, Fingerlakes Mall, 1579 Clark St. Road, Aurelius. First two lessons free; subsequent lessons $5 per person. Call (315) 253-2489 or visit facebook.com/thefunbunchsquaredanceclub. DJ Trivia with Ken Paradise, 7:30 to 9:30 p.m., Auburn Ale House, 288 W. Genesee St., Auburn. No cover. Call (315) 252-2337. Trivia Night, 8 p.m., LakeHouse Pub, 6 W. Genesee St., Skaneateles. Call (315) 554-8194. "Grounded," 7 p.m., Kitchen Theatre, 417 W. State St., Ithaca. For ticket information, call (607) 272-0403 or visit kitchentheatre.org. Story Hour, 9:30 a.m., Hazard Library, 2487 Route 34B, Poplar Ridge. Join Miss Lisa for stories, songs and crafts. Call (315) 364-7975. Preschool Story Hour, 10 a.m., Lang Memorial Library, 2577 E. Main St., Cato. Free. Call (315) 626-2101. Preschool Story Time, 10:30 a.m., Skaneateles Library, 49 E. Genesee St., Skaneateles. Free. Call (315) 685-5135. Little Wigglers toddler storytime, 11 a.m., Seymour Library, 176-178 Genesee St., Auburn. Visit seymourlibrary.org or call (315) 252-2571. Reading with Miss Martha, 3:30 to 4:30 p.m., Seneca Falls Library, 47 Cayuga St., Seneca Falls. Visit senecafallslibrary.org. Seminar: "A Guide to Liquor Licensing in New York State," 10 to 11:30 a.m., Cayuga County Chamber of Commerce, 2 State St., Auburn. Visit cayugacountychamber.com. AARP Smart Driver Course, 4:30 to 7:30 p.m., Cayuga-Onondaga BOCES, 1879 W. Genesee St. Road, Aurelius. Continues April 26; both days mandatory to receive insurance premium or license point reduction. Cost $20 AARP members, $25 nonmembers. Call (315) 253-8581. Presentation: "Bee Behavior," 6 p.m., Seymour Library, 176-178 Genesee St., Auburn. Learn about the social behavior of bees and current problems facing them. Presented by Phoebe Koenig from the Dyce Lab at Cornell University. Visit seymourlibrary.org or call (315) 252-2571. SkillsUSA Leadership and Skills Championships, 8 a.m.; Syracuse PHA Horse Show, 9:30 a.m., New York State Fairgrounds, 581 State Fair Blvd., Geddes. For admission information, visit nysfairgrounds.ny.gov. Talk: "Finding a Good College Fit (Without Breaking the Bank)," 7 p.m., Melvin Community Room, Ulysses Philomathic Library, 74 E. Main St., Trumansburg. Visit trumansburglibrary.org. Senior Cinema: "Mary Poppins Returns," 1 p.m., Weedsport Free Library, 2795 E. Brutus St., Weedsport. Call (315) 834-6222. "Ek Ladki Ko Edkha Toh Aisa Laga" with filmmaker Shelly Chopra Dhar, 4:30 p.m., Willard Straight Theatre, Cornell University, Ithaca. No cover. Visit cinema.cornell.edu. Aurora Planning Board, 7 p.m., firehouse meeting room, 456 Main St., Aurora. Call (315) 364-7293. Animal science club, 6 p.m., Cornell Cooperative Extension of Seneca County, Main Street Shop Centre, Waterloo. Email smc226@cornell.edu. Crystal Bowersox, 8 p.m., Auburn Public Theater, 8 Exchange St., Auburn. Tickets $20-$25. Visit auburnpublictheater.org or call (315) 253-6669. Jazz at the Plaza: Dave Solazzo Duo, noon to 2 p.m., Le Moyne Plaza, 1135 Salt Springs Road, Syracuse. No cover. Visit cnyjazz.org. Jazz at the Cavalier: Andrea Miceli, 5:30 to 8:30 p.m., Marriott Syracuse Downtown, 100 E. Onondaga St., Syracuse. No cover. Visit cnyjazz.org. 11 O'Clock Number: Syracuse University, 11 p.m., Jazz Central, 441 E. Washington St., Syracuse. Acting and musical theater students present their own cabaret. Tickets $3.50. Visit cnyjazz.org. Meditative coloring for adults, 5 to 6 p.m., Seneca Falls Library, 47 Cayuga St., Seneca Falls. Visit senecafallslibrary.org. Read More Book Club: A book set during the current season, 7 p.m., Panera Bread, 6 Plaza Drive, Sennett. Visit seymourlibrary.org or call (315) 252-2571. "The Humans," 7:30 p.m., Syracuse Stage, 820 E. Genesee St., Syracuse. For ticket information, call (315) 443-3275 or visit syracusestage.org. "Grounded," 7:30 p.m., Kitchen Theatre, 417 W. State St., Ithaca. For ticket information, call (607) 272-0403 or visit kitchentheatre.org. National Poem in Your Pocket Day, 9 a.m. to 6 p.m., Seymour Library, 176-178 Genesee St., Auburn. Take a poem from the display and share. Visit seymourlibrary.org or call (315) 252-2571. Blood drive, 10 a.m. to 3 p.m., Cayuga Community College, 197 Franklin St., Auburn. Visit redcrossblood.org or call (800) RED CROSS. Birding by Ear, 10 to 11:30 a.m., Baltimore Woods Nature Center, 4007 Bishop Hill Road, Marcellus. Learn to recognize bird songs and calls. Cost $6 members, $9 nonmembers. Visit baltimorewoods.org. DEC-endorsed Sediment and Erosion Training Course, noon to 4 p.m., First Presbyterian Church, 97 E. Genesee St., Skaneateles. To register, visit reg.cce.cornell.edu/erosion_231 or call (315) 424-9485. SCORE business counseling, 3:30 to 5 p.m., Seymour Library, 176-178 Genesee St., Auburn. Free and confidential assistance and connections to local resources. Visit seymourlibrary.org or call (315) 252-2571. "word, revisited": David Ruekberg 6 p.m., Cayuga Museum Carriage House Theater, 203 Genesee St., Auburn. Presentation and open mic period. Admission $3. Visit cayugamuseum.org/word-revisited. Lecture on artist John D. Barrow, 6:30 p.m., Skaneateles Library, 49 E. Genesee St., Skaneateles. Presented by David L. Prince of Syracuse University, hosted by the John D. Barrow Art Gallery in Skaneateles. No registration required. Call (315) 685-5135. SkillsUSA Leadership and Skills Championships, 8 a.m.; Syracuse PHA Horse Show, 8 a.m., New York State Fairgrounds, 581 State Fair Blvd., Geddes. For admission information, visit nysfairgrounds.ny.gov. Estate planning with attorney Keith McCafferty, 6 p.m., Melvin Community Room, Ulysses Philomathic Library, 74 E. Main St., Trumansburg. Free and open to the public. Call (607) 387-5623. 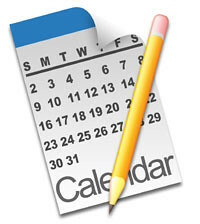 Preparedness Planning Workshop: "Permitting Your Project," 6 to 8:30 p.m., Elks Lodge, 6161 W. Port Bay Road, Wolcott. Visit efc.syr.edu. Cayuga Community College Board of Trustees, 8 a.m., Business Industry Center, 197 Franklin St., Auburn; Room F201, 11 River Glen Drive, Fulton. Visit cayuga-cc.edu. Cayuga County Community Services Board, noon, Mental Health Center, 146 North St., Auburn. Visit cayugacounty.us. Alzheimer's Association Support Group, 2 p.m., Grace Chapel, 1674 Route 20, Skaneateles. Call (315) 436-1575. Cayuga-Onondaga BOCES, 6 p.m., Cayuga-Onondaga BOCES board room, 1879 W. Genesee St. Road, Aurelius. Call (315) 253-0361. Workshop with Tuck & Patti, 6 to 7:45 p.m., Auburn Public Theater, 8 Exchange St., Auburn. For pricing, visit auburnpublictheater.org or call (315) 253-6669. Joe Whiting and Terry Quill, 6 p.m., A.T. Walley & Co., 119 Genesee St., Auburn. No cover. Call (315) 282-7314. The MoonRabbit Orchestra hosts an all-star jam, 7 to 10 p.m., Route 20 Grill & Tap, 3193 Route 5, Sennett. Just Joe, 7 to 10 p.m., Parker's Grille & Tap House, 129 Genesee St., Auburn. No cover. Call (315) 252-6884. Kim Erin, 7 to 9 p.m., Moondog's Lounge, 24 State St., Auburn. No cover. Call (315) 253-3339 or visit moondoglounge.com. Tamez Bros., 7:30 p.m., Auburn Public Theater, 8 Exchange St., Auburn. Tickets $15-$20. Visit auburnpublictheater.org or call (315) 253-6669. The Brother Brothers, 8 p.m., The Haunt, 702 Willow Ave., Ithaca. For ticket information, visit ticketmaster.com. Of Clocks and Clouds and Vaporeyes, 9 p.m., Lost Horizon, 5836 Thompson Road, Syracuse. For ticket information, visit ticketmaster.com. Coffee and Conversation Book Club: "Eleanor Oliphant is Completely Fine," 10:30 a.m., Seymour Library, 176-178 Genesee St., Auburn. Visit seymourlibrary.org or call (315) 252-2571. Toddler Story Time, 10:30 a.m., Skaneateles Library, 49 E. Genesee St., Skaneateles. Free. Call (315) 685-5135. Cornell Lab of Ornithology Van Tour, 9 a.m. to 4 p.m., Montezuma Audubon Center, 2295 Route 89, Savannah. Pack a lunch. Cost $18 children, $25 adults; prepaid reservations required. Call (315) 365-3588 or email montezuma@audubon.org. 27th annual Wine & Herb Festival, 1 to 5 p.m., select wineries on the Cayuga Lake Wine Trail. Food pairings, recipes and more. For ticket information, visit cayugawinetrail.com or call (800) 684-5217. Lunchtime Book Talk: "Bean Pickers: American Immigrant Portraits" by Karen Foresti Hempson, noon, Cayuga Museum of History & Art, 203 Genesee St., Auburn. Hempson will talk about her book, which follows eight immigrants or children of immigrants as they begin their lives in America as bean pickers, then find their way out of poverty through baseball, the military and other avenues. Admission $5 general public, free for museum members. Call (315) 253-8051 or visit cayugamuseum.org. Auburn YMCA-WEIU Bowl-a-Thon Fundraiser, 6 p.m., Starlight Lanes, 1379 Clark St. Road, Aurelius. With raffles, food, cash bar, prizes and more. Supports youth programs at the YMCA. For more information, or to register, call (315) 253-5304 or visit auburnymca.org. Chuckle 4 Charity Comedy Night, 6 p.m., Serenity Wellness, 214 Seymour St., Auburn. Emcee Vin Gleason and mystery guests. Suggested donation $5; supports Izzie Bagarozzo. For ages 18 and older. For more information, or to perform, email vingleason@gmail.com. Rummage sale, 9 a.m. to 3 p.m., Lamson Grange No. 588, 9108 Fenner Road, Baldwinsville. Lunch and baked goods available. Call (315) 413-8993. Collective Goods Fair, 10 a.m. to 3 p.m., Soldiers & Sailors Memorial Hospital, 418 N. Main St., Penn Yan. Family Movie Night, 6:30 to 8 p.m., Seneca Falls Library, 47 Cayuga St., Seneca Falls. Visit senecafallslibrary.org. Friday Film, 7 p.m., Skaneateles Library, 49 E. Genesee St., Skaneateles. Nanny returns to help the Banks siblings. Free. Call (315) 685-5135. Lenten fish dinners, 5 to 8 p.m., Auburn Moose Lodge No. 1419, 83 Wall St., Auburn. Broiled or fried. Cost $10, takeout available. For members and guests. Call (315) 253-2301. FLGIC Foundation Friday: Introduction to Project Budgets, 9 to 10:30 a.m., Cayuga County Chamber of Commerce, 2 State St., Auburn. Visit cayugacountychamber.com. Hope After Stroke support group, 2 to 3 p.m., conference room at VA clinic, Auburn Community Hospital, 17 Lansing St., Auburn. Free and open to the public; light refreshments provided. Visit auburnhospital.org. Auburn Chamber Orchestra: "Auburn POPS!" 7:30 p.m., Irene A. Bisgrove Community Theatre at Cayuga Community College, 197 Franklin St., Auburn. Featuring "Salute to Ol' Blue Eyes," "The Lord of the Dance," "Gershwin by George!" and more. Admission a $5 donation; free for children. Visit auburnchamberorchestra.com. Tuck & Patti, 8 p.m., Auburn Public Theater, 8 Exchange St., Auburn. Tickets $28-$33. Visit auburnpublictheater.org or call (315) 253-6669. Tom Barnes, 8 to 11 p.m., LakeHouse Pub, 6 W. Genesee St., Skaneateles. No cover. Call (315) 554-8194. Mark Doyle & The Maniacs, 9 p.m. to midnight, Moondog's Lounge, 24 State St., Auburn. No cover. Call (315) 253-3339 or visit moondoglounge.com. Tamez Bros., 8 p.m., Jazz Central, 441 E. Washington St., Syracuse. Tickets $15. Visit cnyjazz.org. Jan Regan Club Series: Jane Siberry, 8 p.m., Club 86, 86 Avenue E, Geneva. For ticket information, visit thesmith.org or call (315) 781-LIVE. Loverboy, 8 p.m., del Lago Resort & Casino, 1133 Route 414, Tyre. Sold out. Visit dellagoresort.com. The Pandemic with Toy Box Brigade, 9 p.m., Lost Horizon, 5836 Thompson Road, Syracuse. For ticket information, visit ticketmaster.com. Meditative Coloring for Adults, 11 a.m. to noon, Seneca Falls Library, 47 Cayuga St., Seneca Falls. Preregistration required. Visit senecafallslibrary.org. Geneva Theatre Guild Playwrights Playreadings, 2 p.m., Torrey Park Grill, 89 Avenue E; 7 p.m., Geneva Library, 244 Main St., Geneva. Tickets $5. Call (315) 670-1318. "The Humans," 8 p.m., Syracuse Stage, 820 E. Genesee St., Syracuse. Followed by music by Maria DeAngelis in the Sutton Pavilion. For ticket information, call (315) 443-3275 or visit syracusestage.org. "Grounded," 8 p.m., Kitchen Theatre, 417 W. State St., Ithaca. For ticket information, call (607) 272-0403 or visit kitchentheatre.org. Blood drive, 8 a.m. to 1 p.m., First Presbyterian Church, 112 South St., Auburn. Visit redcrossblood.org or call (800) RED CROSS. Project WILD and Project Flying WILD educators workshop, 9 a.m. to 4:30 p.m., Montezuma Audubon Center, 2295 Route 89, Savannah. For middle-school audience. Pack a lunch. Free; registration required. Call (315) 365-3588 or email montezuma@audubon.org. 14th annual Canal Clean Sweep, 9 a.m., High Street kiosk at the Brian Lapp Memorial trailhead, Montezuma Heritage Park, Montezuma. Hosted by the Montezuma Historical Society Friends of the Park. Volunteers will clean the area, preparing it for cyclists and visitors this season. Call Cheryl Longyear at (315) 776-4656. Habitat Restoration Project, 9 a.m. to noon, Baltimore Woods Nature Center, 4007 Bishop Hill Road, Marcellus. Bring gloves, water and a picnic lunch. Cost $6 members, $9 nonmembers. Visit baltimorewoods.org. Rummage sale, 9 a.m. to 1 p.m., Sennett Federated Church, 7777 Weedsport-Sennett Road, Sennett. 27th annual Wine & Herb Festival, 10 a.m. to 5 p.m., Cayuga Lake Wine Trail. Food pairings, recipes and more. For ticket information, visit cayugawinetrail.com or call (800) 684-5217. Dog Days Family Event, 11 a.m., Bass Pro Shops, 1579 Clark St. Road, Aurelius. Free photos, seminars and more, with prizes. Visit basspro.com. Literacy Volunteers of Cayuga County information session, 10 a.m., 12 Allen St., Auburn. Email literacycayuga@gmail.com or call (315) 253-5241. National Prescription Drug Take Back events, 10 a.m. to 2 p.m., Kinney Drugs, 62 Owasco St., Auburn; and 130 Main St., Moravia. Hosted by Auburn Police Department and the Cayuga County Sheriff's Office. Visit deadiversion.usdoj.gov/drug_disposal/takeback/index.html. Family Fun Day, 10 a.m. to 2 p.m., Holy Family Church gym, 85 North St., Auburn. Tables with baskets, cakes, jewelry and more, as well as children's games, a bake sale, lunch (chili, hot dogs, pulled pork and chili dogs) and a raffle with $1,000, $500 and $250 prizes. Admission free and open to the public; raffle tickets $5 or five for $20. Supports the Holy Family Parish Life Committee and Lunches with Love, schools in Kenya and the Dominican Republic, soup kitchen and Matthew House. Pinwheel garden planting, 10 a.m. to noon, Seneca Falls Library, 47 Cayuga St., Seneca Falls. With crafts, games and snacks. Visit senecafallslibrary.org. Spring beach cleanup, 10 a.m. to noon, Sterling Nature Center, 15730 Jensvold Road, Sterling. Bags and gloves available, or bring your own; dress for the weather. Light snacks available afterward. Call (315) 947-6143 or email snc@cayugacounty.us. Genealogy Fair, 10 a.m. to 1 p.m., Church of Jesus Christ of Latter-day Saints, 3166 Miller Road, Sennett. Keynote topic: "How I got interested in family history and what I learned about my lineage." Topics include basic and advanced research, mobile apps, wills, preserving documents and more. Free and open to the public. Makers Mart, 10 a.m. to 4 p.m., NYS Equal Rights Heritage Center, 25 South St., Auburn. Pop-up market with more than 10 local vendors. Free and open to the public. Call (315) 258-9820 or visit historyshometown.com. Zonta Club of Auburn presents Walk of a Hundred Years, 10:30 a.m., Osborne Library, South Street and Fitch Avenue, Auburn. Walk will proceed to Memorial City Hall, with possible stops at the 1840 Dulles Inn and the Seward House Museum, for remarks by Mayor Michael Quill and more. Followed by reception at site TBA. Honors Zonta International's centennial. Drive Electric Earth Day event, 11 a.m. to 2 p.m., Skaneateles Village Hall, 26 Fennell St., Skaneateles. Experience electric vehicles and charging stations, ask about new models and tax credits, and more. Free and open to the public. Visit driveelectricearthday.org. Antonio Varacalli Day: Celebration of Heroes, 11 a.m., Bridge Street Bridge, Seneca Falls. Honoring winner of annual Antonio Varacalli Day Award, with performance by Seneca Falls Middle School sixth-grade chorus, recognition of essay contest winners and more. Free and open to the public. Visit therealbedfordfalls.com. Garden cleanup, 11 a.m. to 1 p.m., Seward House Museum, 33 South St., Auburn. Call (315) 252-1283 or visit sewardhouse.org. Seventh annual Walk for Autism Awareness, 11 a.m., Casey Park, 150 N. Division St., Auburn. Registration begins at 10:15 a.m. Visit gavrascenter.com. Spring Fling: "Ins and Outs of Inns of Aurora," noon, United Ministry of Aurora, 337 Main St., Aurora. Presentation by Inns of Aurora General Manager Sue Edinger and chef Patrick Higgins of Aurora Cooks! Cost $12 at the door. Call (315) 364-7403. "Made in NY" artist Stefan Zoller, of Henrietta, demonstrates acrylic paint and image transfer techniques, 1 p.m., Schweinfurth Art Center, 205 Genesee St., Auburn. Free with exhibit admission ($7 or less); registration required. Call (315) 255-1553 or email info@schweinfurthartcenter.org. Earth Day Celebration, 1 to 4 p.m., Baltimore Woods Nature Center, 4007 Bishop Hill Road, Marcellus. Guided walks, live animal shows, information booths, crafts, live performance of Dr. Seuss' "The Lorax" and more. Admission $6 members, $9 nonmembers. Visit baltimorewoods.org. "Resolutions Revisited" lecture series: "Marriage and Property," 2 p.m., Guntzel Theater, Women's Rights National Historical Park, 136 Fall St., Seneca Falls. Five-part series about the grievances written for the 1848 Seneca Falls Convention on women's rights. Call (315) 568-0024 or visit nps.gov/wori. Chowderfest, 6 p.m., St. Patrick Church, 28 N. Main St., Jordan. Food, raffles and more. Cost $5. Call (315) 673-1722 or (315) 689-7805. Comedy: Tour About Nothing featuring Katie Hannigan, KC Arora, Alex Pavone and Kase Raso, 8 p.m., Auburn Public Theater, 8 Exchange St., Auburn. Tickets $10-$17. Visit auburnpublictheater.org or call (315) 253-6669. Syracuse PHA Horse Show, 7:30 a.m., Toyota Coliseum; CNY Irish Feis, 8:30 a.m., Horticulture Building; Family Times Kids Expo 2019, 10 a.m., Sleep Number Center of Progress, New York State Fairgrounds, 581 State Fair Blvd., Geddes. For admission information, visit nysfairgrounds.ny.gov. Rummage sale, 9 a.m. to 1 p.m., Lamson Grange No. 588, 9108 Fenner Road, Baldwinsville. Lunch and baked goods available. Call (315) 413-8993. Be the Scientist: Be the Environmental Scientist! noon to 4 p.m., Milton J. Rubenstein Museum of Science & Technology, 500 S. Franklin St., Syracuse. Admission $12 or less. Visit most.org. African Violet and Gesneriad Society of Syracuse show: "Violets Get Their Kicks on Route 66," 1 to 6 p.m., Beaver Lake Nature Center, 8477 E. Mud Lake Road, Baldwinsville. Parking $5. Email barbara.leonard@twc.com. Syracuse Improv Collective, 8 p.m., Jazz Central, 441 E. Washington St., Syracuse. Tickets $10. Visit cnyjazz.org. Chicken barbecue, 10:30 a.m. to 2 p.m., Auburn Masonic Center, 5593 Route 34, Fleming. Cost $10; held by Auburn Assembly No. 3 and Anchor Assembly No. 29, International Order of the Rainbow for Girls. Chicken barbecue, 11 a.m., Scipio Fire Department, 3550 Route 34, Scipio. Cost $7.50 dinners (half chicken, salt potatoes, macaroni salad and more), $5.50 halves only. Reservations suggested. Call (315) 364-8922. Chicken barbecue, noon to 4 p.m., Auburn VFW Post 1975, 44 E. Genesee St., Auburn. Cost $12 per person. Call (315) 253-5890. Free community dinner, 4 to 6:30 p.m., St. Andrew's United Methodist Church, 4264 Jordan Road, Mottville. Chicken adn biscuits, salad, beverages and dessert. Accessible to people with disabilities. Bad Mama's Blues Band, 6 to 8 p.m.; The Primates, 9 p.m. to midnight, Moondog's Lounge, 24 State St., Auburn. No cover. Call (315) 253-3339 or visit moondoglounge.com. Phil LeBrun, 7 to 10 p.m., Parker's Grille & Tap House, 86 Fall St., Seneca Falls. No cover. Call (315) 712-4152. Guitar Concert: Eastman Community Music School classical guitar program, 7:30 p.m., Skaneateles Library, 49 E. Genesee St., Skaneateles. Free. Call (315) 685-5135. Mike Powell and Loren Barrigar, 8 p.m., Borodino Hall, 1861 E. Lake Road, Skaneateles. Tickets $20 per person, $30 per family. Supports the Spafford Area Historical Society. Sloppy Joes, 9 p.m. to 1 a.m., Tidal Wave at Falcon Lanes, 75 Pulaski St., Auburn. No cover. Call (315) 252-9398. Oswego Music Hall: Austin McCrae, Gina Holsopple and Travis Knapp, 7:30 p.m., McCrobie Civic Center, 41 Lake St., Oswego. Tickets $13-$15. Visit oswegomusichall.org. "The Dozen Divas" starring Dorothy Bishop, 7:30 p.m., Cortland Repertory Theatre Downtown, 24 Port Watson St., Cortland. For ticket information, visit cortlandrep.org. Almost Queen, 8 p.m., State Theatre, 107 W. State St., Ithaca. For ticket information, call (607) 277-8283 or visit stateofithaca.org. Peter Yarrow, 8 p.m., Center for the Arts, 72 S. Main St., Homer. For ticket information, call (607) 749-4900 or email info@center4art.org. Damon Larus, Mattydale Music Collective, Dome and more, 8 p.m., Lost Horizon, 5836 Thompson Road, Syracuse. For ticket information, visit ticketmaster.com. Paint and Sip, 10 to 11:30 a.m., Hardware Cafe, 566 Main St., Fair Haven. To RSVP, call (315) 947-6700. Polymer clay jewelry workshop, 10 a.m. to 3 p.m., Seneca County Arts Council Artworks Gallery, 109 Fall St., Seneca Falls. For registration information, email rnelson33@rochester.rr.com or call (315) 549-8323. History Book Club: "Most Blessed of the Patriarchs: Thomas Jefferson & The Empire of the Imagination" by Annette Gordon-Reed and Peter Onuf, 11:30 a.m., Seymour Library, 176-178 Genesee St., Auburn. Visit seymourlibrary.org or call (315) 252-2571. Chess Club, 1 to 4 p.m., Seymour Library, 176-178 Genesee St., Auburn. Visit seymourlibrary.org or call (315) 252-2571. Weekend Guided Walks: Arboretum Tour, 2 p.m., Beaver Lake Nature Center, 8477 E. Mud Lake Road, Baldwinsville. Admission $5 per vehicle. Call (315) 638-2519 or visit onondagacountyparks.com. "The Humans," 3 and 8 p.m., Syracuse Stage, 820 E. Genesee St., Syracuse. For ticket information, call (315) 443-3275 or visit syracusestage.org. Geneva Theatre Guild Playwrights Playreadings, 7 p.m., Anthony Road Wine Co., Anthony Road, Geneva. Tickets $11. Call (315) 670-1318. "Women Will Vote: Celebrating a Centennial of Suffrage," 2 to 3 p.m., Cayuga Museum Carriage House Theater, 203 Genesee St., Auburn. Historians and professors Susan Goodier and Karen Pastorello will tell the story of the women in New York who won a hard-fought battle for the ballot, and how that story reinvigorated the national suffrage movement. They will also sign copies of their book, "Women Will Vote: Winning Suffrage in New York State." Presented by the Seward House Museum. Admission $10 museum members, $15 public. Call (315) 252-1283 or visit sewardhouse.org. Poetry Extravaganza, 2 to 4 p.m., Sterling Nature Center, 15730 Jensvold Road, Sterling. Local and regional poets sharing work, with an open mic segment. Free and open to the public. Call (315) 947-6143 or email snc@cayugacounty.us. 2019 International Trails Symposium and Training Institute, Oncenter, 800 S. State St., Syracuse; and Milton J. Rubenstein Museum of Science and Technology, 500 S. Franklin St., Syracuse. Visit americantrails.org. Syracuse PHA Horse Show, 7:30 a.m., Toyota Coliseum, New York State Fairgrounds, 581 State Fair Blvd., Geddes. For admission information, visit nysfairgrounds.ny.gov. African Violet and Gesneriad Society of Syracuse show: "Violets Get Their Kicks on Route 66," 10 a.m. to 4 p.m., Beaver Lake Nature Center, 8477 E. Mud Lake Road, Baldwinsville. Parking $5. Email barbara.leonard@twc.com. Galumpha, 3 p.m., State Theatre, 107 W. State St., Ithaca. Acrobatic trio. For ticket information, call (607) 277-8283 or visit stateofithaca.org. "American Creed," 4 p.m., Howland Stone Store Museum, 2956 Route 34B, Aurora. Followed by discussion. Free and open to the public. Visit americancreed.org. Pancake breakfast, 7 a.m. to noon, Mottville Fire Company, 4149 Frost St., Mottville. Cost $7 adults, $6 seniors, $5 children 5-12, free for children younger than 5. Visit mottvillefireco.com. Pancake breakfast, 8 a.m. to noon, Port Byron Fire Department, 52 Utica St., Port Byron. Cost $6 adults, $5 seniors and children 5 to 12, free for children younger than 5, $20 families of four. Last breakfast until November. Chicken barbecue, 11 a.m., Auburn Moose Lodge No. 1419, 83 Wall St., Auburn. Dinners $10, halves $7. For members and guests. Call (315) 253-2301. Chicken barbecue, 9:30 a.m. until gone, St. Patrick's Church, Mechanic Street, Cato. Dinners $10 adults, $5 children younger than 12; halves $5. Jazz on Tap: The Intention, 2 to 5 p.m., Finger Lakes on Tap, 35 Fennell St., Skaneateles. No cover. Visit cnyjazz.org. Maria Gillard Trio, 2 p.m., Willard Memorial Chapel, 17 Nelson St., Auburn. Admission $10. Visit willard-chapel.org. Bob Piorun and The Kats featuring Robin Munn, 3 to 6 p.m., Next Chapter Brewpub, Genesee Center, 100 Genesee St., Auburn. No cover. Visit facebook.com/nextchapterbrew. Tommy Connors, 6 to 9 p.m., LakeHouse Pub, 6 W. Genesee St., Skaneateles. No cover. Call (315) 554-8194. Patty Larkin, 8 p.m., Auburn Public Theater, 8 Exchange St., Auburn. Tickets $25-$30. Visit auburnpublictheater.org or call (315) 253-6669. Ithaca Gay Men's Chorus 10th Anniversary Concert, 3 p.m., First Baptist Church, Dewitt Park, 309 N. Cayuga St., Ithaca. Donation $15 at the door suggested. Visit acithaca.org. CNY Jazz Cabaret Series: Ron Wilkins and Ronnie Leigh, 5 p.m., Sheraton Syracuse University, 801 University Ave., Syracuse. Tickets $10-$35. Visit cnyjazz.org. Bound for Glory: Jane Rothfield and Allan Carr, 8 to 11 p.m., Alternatives Library, Anabel Taylor Hall, Cornell University, Ithaca. No cover. Visit boundforglory.org. "The Humans," 2 and 7 p.m., Syracuse Stage, 820 E. Genesee St., Syracuse. For ticket information, call (315) 443-3275 or visit syracusestage.org. Unity House of Cayuga County Annual Board and Award Dinner, 5:30 to 8:30 p.m., Holiday Inn, 75 North St., Auburn. Guest speaker Kayla McKeon, of Syracuse, presenting "Advocacy and My Journey to Becoming the Nation’s First Registered Lobbyist with Down Syndrome," as well as presentation of Fred Atkins Community Service Award to Don Poole, of Matthew House and Knights of Columbus, and Open Arms Award to Naomi Bernheim, of Cup O' Jo in Ithaca. For more information, or to RSVP by April 22, visit unityhouse.com or email annualdinner@unityhouse.com. Loss of a Spouse Seminar, 6:30 to 8:30 p.m., Sacred Heart Church, 90 Melrose Road, Owasco. Video, discussion and book of ideas for each participant. Cost $5. To register, call (315) 246-3440. Movie Monday, 1 p.m., Seymour Library, 176-178 Genesee St., Auburn. Adventure movie about a dog. Visit seymourlibrary.org or call (315) 252-2571. Seneca Falls Savings Bank annual meeting, 2 p.m., 20 E. Bayard St., Seneca Falls. Call (315) 568-5855. Sennett Rural Cemetery, 7 p.m., Sennett Federated Church, 7777 Weedsport-Sennett Road, Sennett. All lot owners urged to attend. Le Moyne College Symphony Orchestra Turns 10! 7:30 p.m., H.W. Smith School, 1130 Salt Springs Road, Syracuse. For ticket information, visit lemoyne.edu/vpa. Evening Book Club: "Carnegie's Maid" by Marie Benedict, 6:30 p.m., Skaneateles Library, 49 E. Genesee St., Skaneateles. Free. Call (315) 685-5135. Discussion: "Business-friendly Solutions to Climate Change," 9 a.m., Cayuga County Chamber of Commerce, 2 State St., Auburn. With Rep. Bob Inglis. Free and open to the public; coffee and bagels provided. Program: "In the News: Using Newspaper Databases in Genealogy Research," 4:30 p.m., Seymour Library, 176-178 Genesee St., Auburn. Space limited; registration required. Visit seymourlibrary.org or call (315) 252-2571. Seymour Public Library board informational session, 6 p.m., Seymour Library, 176-178 Genesee St., Auburn. Learn about joining a library board committee. Visit seymourlibrary.org or call (315) 252-2571. Classic Film Tuesday: "The Out of Towners," 1 p.m., Auburn Public Theater, 8 Exchange St., Auburn. Free and open to the public. Visit auburnpublictheater.org or call (315) 253-6669. Screams & Screens: Scary B Movies at the Auburn: "Night of the Living Dead," 8 p.m., Auburn Public Theater, 8 Exchange St., Auburn. With introduction by Ed Catto. Admission $2. Visit auburnpublictheater.org or call (315) 253-6669. Dinner cabaret with Marissa Mulder, 6:15 p.m., Sherwood Inn, 26 W. Genesee St., Skaneateles. For pricing, call (315) 685-3405 or visit thesherwoodinn.com. Crochet and Chat, 11 a.m. to 1 p.m.; Knitting Circle, 2 p.m., Seymour Library, 176-178 Genesee St., Auburn. Visit seymourlibrary.org or call (315) 252-2571. Charity knitting group, 11 a.m. to 2 p.m., Weedsport Free Library, 2795 E. Brutus St., Weedsport. Call (315) 834-6222. "The Humans," 7 p.m., Syracuse Stage, 820 E. Genesee St., Syracuse. For ticket information, call (315) 443-3275 or visit syracusestage.org. "Brunch with the Seward Family and Friends," 10:30 a.m. to 12:30 p.m., Genoa Historical Association, 920 Route 34B, King Ferry. With staff from the Seward House Museum. Call (315) 364-8202 or email genoahistorical@gmail.com. FLX Job Fair, 11 a.m. to 6 p.m., Holiday Inn, 75 North St., Auburn. Visit cayugacountychamber.com. Missions Conference begins and open house and ribbon cutting, 4:30 p.m., Finger Lakes Christian Fellowship, 83 Auburn Road, Seneca Falls. Conference continues through May 5. Cost $15-$30. Visit fingerlakeschristian.org. Holocaust Memorial Day lecture by survivor Gerd Korman, 7 p.m., Temple Beth-El, 402 N. Tioga St., Ithaca. Free and open to the public. Visit iaujc.org. Cayuga County Community Services Board: ASAS Subcommittee, noon, Unity House of Cayuga County, 34 Wright Ave., Auburn. Visit cayugacounty.us. Aurora Community Preservation Panel, 7 p.m., firehouse meeting room, 456 Main St., Aurora. Call (315) 364-7293. Ira Town Board, 7 p.m., municipal building, 2487 W. Main St., Ira. Call (315) 626-6905. Owasco Watershed Lake Association, 7 p.m., Springside Inn, 6141 W. Lake Road, Fleming. Visit owla.org. Jordan-Elbridge Central School District, 7 p.m., Jordan-Elbridge High School library, 5721 Hamilton Road, Elbridge. Call (315) 689-3978. Young at Heart Widow/Widowers and Death by Drug Overdose Bereavement Support Groups, 6:30 to 8:30 p.m., HOPE for Bereaved, 4500 Onondaga Blvd., Syracuse. Visit hopeforbereaved.com. Jazz at the Plaza: John Spillett, noon to 2 p.m., Le Moyne Plaza, 1135 Salt Springs Road, Syracuse. No cover. Visit cnyjazz.org. Jazz at the Cavalier: Nancy Kelly, 5:30 to 8:30 p.m., Marriott Syracuse Downtown, 100 E. Onondaga St., Syracuse. No cover. Visit cnyjazz.org. Southern Cayuga Book Club, 7:15 p.m., Poplar Ridge. Free and open to new members. Location varies; call (315) 364-7975. "The Humans," 2 and 7:30 p.m., Syracuse Stage, 820 E. Genesee St., Syracuse. For ticket information, call (315) 443-3275 or visit syracusestage.org. IHSA National Championships, 8:30 a.m., Exposition Center, New York State Fairgrounds, 581 State Fair Blvd., Geddes. For admission information, visit nysfairgrounds.ny.gov. Spring Writes Literary Festival, 5 to 8 p.m., downtown Ithaca. Workshops, readings and other events at multiple venues. Visit springwrites.org. "PJ Masks Live! Save the Day," 6 p.m., Landmark Theatre, 362 S. Salina St., Syracuse. For ticket information, visit ticketmaster.com. Chicken barbecue, 3 to 6 p.m., Seneca Falls United Methodist Church, 2 Chapel St., Seneca Falls. Cost $10; supports the church and Church World Services. Cayuga County Community Services Board: PWDD Subcommittee, noon, Mental Health Center, 146 North St., Auburn. Visit cayugacounty.us. Alzheimer's Association caregiver support group, 2 p.m., The Episcopal Church of SS. Peter & John, 169 Genesee St., Auburn. HUGs (Help Understanding Grief) from Cara support group, 6:30 p.m., Case Mansion, 108 South St., Auburn. Visit hugsfromcara.org. Skaneateles Town Board, 7 p.m., town hall, 24 Jordan St., Skaneateles. Death by Drug Overdose Bereavement Support Group, 6:30 to 8:30 p.m., State Street United Methodist Church, 357 State St., Fulton. Visit hopeforbereaved.com. Proud Walkers, 7 to 10 p.m., Moondog's Lounge, 24 State St., Auburn. No cover. Call (315) 253-3339 or visit moondoglounge.com. Tiger, 7 to 10 p.m., Parker's Grille & Tap House, 129 Genesee St., Auburn. No cover. Call (315) 252-6884. Che Apalache, 8 p.m., Auburn Public Theater, 8 Exchange St., Auburn. Admission $15-$20. Visit auburnpublictheater.org or call (315) 253-6669. Feeding Body & Soul: A Jazz Benefit for Hunger with ESP, 7 p.m., Jazz Central, 441 E. Washington St., Syracuse. Admission $20. Visit cnyjazz.org. "Grounded," 2 and 7:30 p.m., Kitchen Theatre, 417 W. State St., Ithaca. For ticket information, call (607) 272-0403 or visit kitchentheatre.org. "The Humans," 7:30 p.m., Syracuse Stage, 820 E. Genesee St., Syracuse. Followed by music by Maria DeAngelis in the Sutton Pavilion. For ticket information, call (315) 443-3275 or visit syracusestage.org. First Friday: Public Poetry, 2 p.m., Auburn Public Theater, 8 Exchange St., Auburn. Facilitated by Beth Miller and Jim Ellis. Free and open to the public. Visit auburnpublictheater.org or call (315) 253-6669. First Firkin Friday, 3 to 10 p.m., Good Shepherds Brewing Co., 132 Genesee St., Auburn. With music by Honky Tonk Hindooz at 7 p.m. No cover. Call (315) 406-6498. First Friday: Coffee with a Cop, 5 to 8 p.m., Historic Grounds Coffee, 83 Genesee St., Auburn. Get to know Auburn police in a neutral setting and ask questions or share concerns. First Friday: Artist talk by Ed Catto, 5 p.m., Cayuga Museum of History & Art, 203 Genesee St., Auburn. Free and open to the public. Visit cayugamuseum.org or call (315) 253-8051. First Friday: Opening reception for exhibit of work by Richell Castellon Ferriera, 5 to 8 p.m., Gallery 54, 54 E. Genesee St., Skaneateles. With music by Jane Zell and tastings from Anyela's. Free and open to the public. Visit gallery54cny.com. IHSA National Championships, 8 a.m., Exposition Center; Onondaga County Festival of Relays, 5 p.m., Chevy Court; Empire State Arabian Horse Association All Arabian Spring Show, 8 a.m., Toyota Coliseum and 4-H stable, New York State Fairgrounds, 581 State Fair Blvd., Geddes. For admission information, visit nysfairgrounds.ny.gov. Spring Writes Literary Festival, 3 to 8:30 p.m., downtown Ithaca. Workshops, readings and other events at multiple venues. Visit springwrites.org. Gallery Night: "Art and the Written Word," 5 to 8 p.m., Community Arts Partnership ArtSpace, 110 N. Tioga St., Ithaca. Visit artspartner.org. "Rembrandt," 1 and 7 p.m., Auburn Public Theater, 8 Exchange St., Auburn. Tickets $6. Visit auburnpublictheater.org or call (315) 253-6669. Fish dinners, 5 to 8 p.m., Auburn Moose Lodge No. 1419, 83 Wall St., Auburn. Broiled or fried, with burgers and wings. For members and guests. Call (315) 253-2301. "A Great Opera-tunity" with soprano Rebecca Carr, 10:30 a.m. and 7 p.m., Auburn Public Theater, 8 Exchange St., Auburn. Morning session free, evening session $10. Visit auburnpublictheater.org or call (315) 253-6669. Mo & Leo, 6 to 8 p.m.; Two Hour Delay, 9 p.m. to midnight, Moondog's Lounge, 24 State St., Auburn. No cover. Call (315) 253-3339 or visit moondoglounge.com. "Love is a Rose: Celebrating the Music of Linda Ronstadt," 7:30 p.m., Cortland Repertory Theatre Downtown, 24 Port Watson St., Cortland. For ticket information, visit cortlandrep.org. Rarely Done Productions: "Puffs," 8 p.m., Jazz Central, 441 E. Washington St., Syracuse. For ticket information, visit rarelydone.org. Stories in the Park, 10 to 11 a.m., Kid's Territory Playground, West Bayard Street, Seneca Falls. Weather permitting. Visit senecafallslibrary.org. Auburn Beautification Commission annual Park Pick-up Day, 9 a.m. to noon, Veterans Memorial Park, Genesee Street, Auburn. Raking and collecting trash across parks in Auburn. Bags and refreshments provided; dress appropriately. Email info@beautifulauburn.org. Friends of Fillmore Glen I Love My Park Day, 9 a.m. to 1 p.m., Fillmore Glen State Park, 1686 Route 38, Moravia. Trail clearing, invasive species removal, flower maintenance and other volunteer cleanup activities. Sturdy shoes, gloves and tools encouraged, tick spray advised. To preregister, visit ptny.org/ilovemypark. Third annual 5K Sap Run/Walk to benefit the Healing H'Arts Equestrian Center, 10 a.m., 1354 Kings Corners Road, Union Springs. With pancake breakfast until 1 p.m. and music by Perform 4 Purpose. Registration $20 adults, $15 seniors and children younger than 12. Free T-shirt with registration before April 19. Call (315) 730-4339 or email kirstamalone40@gmail.com. 13th annual Wildlife Festival, 10 a.m. to 3 p.m., Montezuma Audubon Center, 2295 Route 89, Savannah. Food trucks, a rock wall, animal presentations, live music, canoeing, family activities and more. Admission $5 per person, $20 families. Call (315) 365-3588 or email montezuma@audubon.org. Emmanuel Christian Academy open house, 10 a.m. to noon, 77 Metcalf Drive, Auburn. Visit emmanuelchristianacad.org. Spring into Summer Fundraiser, 11 a.m. to 2 p.m., Faatz-Crofut Home, 46 Grant Ave., Auburn. Bake sale, 50/50 cash raffle, book sale, raffle baskets and lunch of Hofmann hot dog, chips and soda/water for $4. Supports quality-of-life improvements for residents. Visit thehomeauburn.com. Star Wars Day, 1:30 to 5:30 p.m., Seneca Falls Library, 47 Cayuga St., Seneca Falls. Dress as your favorite character, with activities. Visit senecafallslibrary.org. IHSA National Championships, 8 a.m., Exposition Center; Empire State Arabian Horse Association All Arabian Spring Show, 8 a.m., Toyota Coliseum and 4-H stable, New York State Fairgrounds, 581 State Fair Blvd., Geddes. For admission information, visit nysfairgrounds.ny.gov. Spring Writes Literary Festival, 10 a.m. to 9 p.m., downtown Ithaca. Workshops, readings and other events at multiple venues. Visit springwrites.org. National Math Festival celebration, noon to 4 p.m., Milton J. Rubenstein Museum of Science & Technology, 550 S. Franklin St., Syracuse. For admission information, visit most.org. Finger Lakes Tourism Alliance 100th Anniversary Gala, 5 to 11 p.m., Ramada Geneva Lakefront, 41 Lakefront Drive, Geneva. For ticket information, visit flta100.com. "Rembrandt," 7 p.m., Auburn Public Theater, 8 Exchange St., Auburn. Tickets $6. Visit auburnpublictheater.org or call (315) 253-6669. All-you-can-eat pancake breakfast, 7 a.m., King Ferry Presbyterian Church, Routes 90 and 34B, King Ferry. Pancakes, sausage, eggs, homemade blueberry syrup and more. Cost $5 adults; supports local missions. Roast beef supper, 4 p.m., Countryside United Methodist Church, Duck Lake Road, Spring Lake. Cost $10 adults, $4 children 5 to 12, free for children younger than 5. Call (315) 784-8121. A Cast of Thousands, 6 to 8 p.m.; Jam Factor, 9 p.m. to midnight, Moondog's Lounge, 24 State St., Auburn. No cover. Call (315) 253-3339 or visit moondoglounge.com. Marc Ryan, 7 to 10 p.m., Parker's Grille & Tap House, 86 Fall St., Seneca Falls. No cover. Call (315) 712-4152. The Shazbot, 9 p.m. to 1 a.m., Tidal Wave at Falcon Lanes, 75 Pulaski St., Auburn. No cover. Call (315) 252-9398. Oswego Music Hall: Season Finale, 4:30 p.m., McCrobie Civic Center, 41 Lake St., Oswego. Tickets $15-$20. Visit oswegomusichall.org. Brand New Sin, 7 p.m., Lost Horizon, 5836 Thompson Road, Syracuse. For ticket information, visit ticketmaster.com. Rhythm Future Quartet, 7 p.m., Canaan Institute, Brooktondale. Cost $20-$40; also includes workshop at 2 p.m. To RSVP, visit bit.ly/cinst-rsvp. Book Discussion Group, 12:45 to 2 p.m., Port Byron Library, 12 Sponable Drive, Port Byron. Free and open to the public. Call (315) 776-5694. Weekend Guided Walks: Spring Wildflowers, 2 p.m., Beaver Lake Nature Center, 8477 E. Mud Lake Road, Baldwinsville. Admission $5 per vehicle. Call (315) 638-2519 or visit onondagacountyparks.com. "The Humans," 3 and 8 p.m., Syracuse Stage, 820 E. Genesee St., Syracuse. Followed by music by Maria DeAngelis in the Sutton Pavilion. For ticket information, call (315) 443-3275 or visit syracusestage.org. SPA Ballet Company presents "Beauty and the Beast," 7:30 p.m., Smith Opera House, 82 Seneca St., Geneva. For ticket information, visit thesmith.org or call (315) 781-LIVE. Caring for Community: Family Hope Center, noon to 1 p.m., Finger Lakes Christian Fellowship, 83 Auburn Road, Seneca Falls. Free and open to the public. Visit fingerlakeschristian.org. Music United Foundation presents "Feelin' Stronger Every Day" benefit for Tony Schimizzi, 1 to 6 p.m., Tidal Wave at Falcons, 75 Pulaski St., Auburn. Music by Joe Whiting and friends, Mark Doyle, Loren Barrigar, Rob Spagnoletti and Troy Evans of Full Tilt, John Martellaro Band and Bad JuJu, as well as dinner by Downtown Deli, raffle baskets and more. Admission $15. Call (315) 252-2734. Presentation: "The Town of Milton History," 2 p.m., Genoa Historical Association, 920 Route 34B, King Ferry. Presentation on the town that would be come Genoa by Lansing historian Lousie Bement. Booklets available for purchase. Call (315) 364-8202 or email genoahistorical@gmail.com. IHSA National Championships, 8 a.m., Exposition Center; Empire State Arabian Horse Association All Arabian Spring Show, 8:30 a.m., Toyota Coliseum and 4-H stable; ESTMIM Theatre Pipe Organ Concert, 2:30 p.m., Empire Theater, New York State Fairgrounds, 581 State Fair Blvd., Geddes. For admission information, visit nysfairgrounds.ny.gov. Spring Writes Literary Festival, 11 a.m. to 6:30 p.m., downtown Ithaca. Workshops, readings and other events at multiple venues. Visit springwrites.org. Syracuse Area Miniature Enthusiasts 44th annual Dollhouse and Miniature Show and Sale, 10 a.m. to 4 p.m., Holiday Inn, Electronics Parkway, Liverpool. Admission $5.50 adults, free for children 12 and younger. Sunday Music Series: Juliana Grantz, 4 p.m., Auburn Public Theater, 8 Exchange St., Auburn. Tickets $5. Visit auburnpublictheater.org or call (315) 253-6669. Bound for Glory: Mike Agranoff, 8 to 11 p.m., Alternatives Library, Anabel Taylor Hall, Cornell University, Ithaca. No cover. Visit boundforglory.org. SPA Ballet Company presents "Beauty and the Beast," 2 p.m., Smith Opera House, 82 Seneca St., Geneva. For ticket information, visit thesmith.org or call (315) 781-LIVE. "The Humans," 2 p.m., Syracuse Stage, 820 E. Genesee St., Syracuse. Followed by music by Maria DeAngelis in the Sutton Pavilion. For ticket information, call (315) 443-3275 or visit syracusestage.org. Candlelight vigil for National Nurses Week, 7:30 p.m., Soldiers & Sailors Memorial Hospital, 418 N. Main St., Penn Yan. Call (315) 787-4657. Classics @ the Carriage House: "North by Northwest," 7 p.m., Cayuga Museum Carriage House Theater, 203 Genesee St., Auburn. Admission $5. Visit cayugamuseum.org or call (315) 253-8051. Heroin Epidemic Action League, 6 p.m., Center for Wellness, 1 Hoffman St., Auburn. Marcellus Central School District, 7 p.m., Marcellus Senior High School, 1 Mustang Hill, Marcellus. Brutus Zoning Board of Appeals, 7 p.m., town municipal building, 9021 N. Seneca St., Weedsport. Spartan Speakers Toastmasters meeting, 7 to 8 p.m., Cayuga Community College, 197 Franklin St., Auburn. For people to hone speaking and leadership skills in a group setting. Visit 1588577.toastmastersclubs.org. Meridian Village Board, 7 p.m., Cato Town Office, 11320 Short Cut Road, Cato. Call (315) 626-3223. McKinley James with Auburn's Austin John, 7:30 to 9:30 p.m., Moondog's Lounge, 24 State St., Auburn. No cover. Call (315) 253-3339 or visit moondoglounge.com. Monday Nightcap Book Chat, 7 to 8:30 p.m., NYS Equal Rights Heritage Center, 25 South St., Auburn. Free and open to the public. Call (315) 258-9820 or visit historyshometown.com. ArtSmart Educational Theatre: "The Crucible," 10 a.m. and 7 p.m., Smith Opera House, 82 Seneca St., Geneva. For ticket information, visit thesmith.org or call (315) 781-LIVE. Seneca County Housing Coalition Housing & Services Fair, 10 a.m. to 1 p.m., Seneca County Office Building, DiPronio Drive, Seneca Falls. More than 20 agencies on hand to answer questions, with food and giveaways. Free and open to the public. Call (315) 568-2200 or (315) 539-1667. Medicare basics workshop, 2 to 4 p.m., basement training room, Cayuga County Office Building, 160 Genesee St., Auburn. Registration required. Visit cayugacounty.us/aging or call (315) 253-1226. Rain barrel workshop, 11 a.m., Bay View Shelter at Willow Bay, Onondaga Lake Park; 6 p.m., Metropolitan Syracuse Wastewater Treatment Plant, 650 Hiawatha Blvd. W., Syracuse. Visit ongov.net. Cornell University presents "Johnson Follies 2019," 7 p.m., State Theatre, 107 W. State St., Ithaca. For ticket information, call (607) 277-8283 or visit stateofithaca.org. Candlelight vigil for National Nurses Week, 7:30 p.m., Geneva General Hospital, 196 North St., Geneva. Call (315) 787-4657. Classic Film Tuesday: "Lonely Are the Brave," 1 p.m., Auburn Public Theater, 8 Exchange St., Auburn. Free and open to the public. Visit auburnpublictheater.org or call (315) 253-6669. National Alliance on Mental Illness Family Support Group, 6 to 7:30 p.m., second floor assembly room, Auburn Community Hospital, 17 Lansing St., Auburn. Call (315) 255-7443. Auburn Planning Board, 6:30 p.m., Memorial City Hall, 24 South St., Auburn. Visit auburnny.gov. Skaneateles Central School District, 7 p.m., district office, 45 E. Elizabeth St., Skaneateles. Call (315) 291-2221. Cato Town Board, 7:30 p.m., town office, 11320 Short Cut Road, Cato. Call (315) 626-6230. Death by Drug Overdose Bereavement Support Group, 6:30 to 8:30 p.m., HOPE for Bereaved, 4500 Onondaga Blvd., Syracuse. Visit hopeforbereaved.com. Google Everything, 2 to 3 p.m., Seneca Falls Library, 47 Cayuga St., Seneca Falls. Visit senecafallslibrary.org. 3D printing series, 5 to 6:30 p.m., Seneca Falls Library, 47 Cayuga St., Seneca Falls. Continues May 14. Visit senecafallslibrary.org. "The Book of Mormon," 7:30 p.m., Landmark Theatre, 362 S. Salina St., Syracuse. For ticket information, visit ticketmaster.com. 2019 Cayuga County Chamber of Commerce Awards Luncheon, 11:30 a.m. to 1:30 p.m., Springside Inn, 6141 W. Lake Road, Fleming. For ticket information, visit cayugacountychamber.com. Montezuma Birdwatching Tour, 5:30 to 8 p.m., Montezuma Audubon Center, 2295 Route 89, Savannah. Cost $8 children, $15 adults; prepaid reservations required. Call (315) 365-3588 or email montezuma@audubon.org. Libations for the Library, 6:30 to 9 p.m., Americana Winery, 4667 E. Covert Road, Interlaken. Food, music, raffles, trivia, tastings and more. Tickets $30; supports Ulysses Philomathic Library in Trumansburg. Visit trumansburglibrary.org or call (607) 387-5623. Fabio Viviani cooking demonstration, 1 to 3 p.m.; VIP wine dinner, 6 p.m., del Lago Resort & Casino, 1133 Route 414, Tyre. For ticket information, visit dellagoresort.com. Jazz at the Cavalier: Ronnie Leigh, 5:30 to 8:30 p.m., Marriott Syracuse Downtown, 100 E. Onondaga St., Syracuse. No cover. Visit cnyjazz.org. Leadership Cayuga Class of 2019 project presentations, 9 to 11 a.m., Hilton Garden Inn, 74 State St., Auburn. Free and open to the public. Visit cayugacountychamber.com or call (315) 252-7291. Children's Mental Health Awareness Day event, 11:30 a.m., Frederick Richardson Training Center at Cayuga Centers, 210 Osborne St., Auburn. Highlighting "Suicide Prevention: Strategies That Work" with trauma-informed yoga, dialectical behavior therapy, youth panel and more. Hosted by Cayuga County Families Access to Services Team. RSVP requested by April 30. Call (315) 294-8180 or email fast@cayugacounty.us. "word, revisited": Michael Fedorchuk, 6 p.m., Cayuga Museum Carriage House Theater, 203 Genesee St., Auburn. Presentation and open mic period. Admission $3. Visit cayugamuseum.org/word-revisited. Preparedness Planning Workshop: "Land Use Tools for Stormwater and Floodplain Management," 6 to 8:30 p.m., Elks Lodge, 6161 W. Port Bay Road, Wolcott. Visit efc.syr.edu. Illustrated talk: "The Education of Henry S. Randall: Founding President of the Cortland Normal School (1868-1876)," 7 to 8:30 p.m., Unitarian Universalist Church of Cortland, 3 Church St., Cortland. Free and open to the public. Call (607) 756-6071. Doug's Fish Fry to go fundraiser, 11 a.m. to 6 p.m., Weedsport First Presbyterian Church, 8871 S. Seneca St., Weedsport. With bake sale. Supports scholarships for VanderKamp. Visit weedsportpresbyterianchurch.org. African Violet and Gesneriad Society of Syracuse, 7 p.m., Pitcher Hill Community Church, 605 Bailey Road, North Syracuse. Call (315) 637-5733. Nate Michaels, 7 to 10 p.m., Parker's Grille & Tap House, 129 Genesee St., Auburn. No cover. Call (315) 252-6884. Songs & Stories and comic book release party with Kim Draheim, 7 to 9 p.m., Moondog's Lounge, 24 State St., Auburn. No cover. Call (315) 253-3339 or visit moondoglounge.com. Karla Bonoff, 8 p.m., Auburn Public Theater, 8 Exchange St., Auburn. Tickets $30-$45. Visit auburnpublictheater.org or call (315) 253-6669. Hippo Campus, 8 p.m., Westcott Theater, 524 Westcott St., Syracuse. For ticket information, visit ticketmaster.com. Hummingbirds program, 3:30 to 4:30 p.m., Seneca Falls Library, 47 Cayuga St., Seneca Falls. For K-4. Visit senecafallslibrary.org. Bring in Spring Horse Show with Bridle Path Manor, 9 a.m., Toyota Coliseum, New York State Fairgrounds, 581 State Fair Blvd., Geddes. For admission information, visit nysfairgrounds.ny.gov. NightLab: Game On, 6 to 8 p.m., Milton J. Rubenstein Museum of Science & Technology, 550 S. Franklin St., Syracuse. Game night for adults. Cost $12-$15. Visit most.org. CatVideoFest, 7 p.m., Willard Straight Theatre, Cornell University, Ithaca. For ticket information, visit cinema.cornell.edu. Ghost Town Ramblers, 6 to 8 p.m.; Saint Barnard, 9 p.m. to midnight, Moondog's Lounge, 24 State St., Auburn. No cover. Call (315) 253-3339 or visit moondoglounge.com. Steve Forbert, 8 p.m., Auburn Public Theater, 8 Exchange St., Auburn. Tickets $20-$25. Visit auburnpublictheater.org or call (315) 253-6669. The Dorothy Cotton Jubilee Singers, 7:30 p.m., Ford Hall, Whalen School of Music, Ithaca College, Ithaca. Free and open to the public; donations suggested. Visit dorothycottonjubileesingers.com. Gordon Lightfoot, 8 p.m., State Theatre, 107 W. State St., Ithaca. For ticket information, call (607) 277-8283 or visit stateofithaca.org. Boyz II Men, 8 p.m., del Lago Resort & Casino, 1133 Route 414, Tyre. Sold out. Visit dellagoresort.com. Blood drive, 7:30 a.m. to 12:30 p.m., Skaneateles Fire Department, 77 W. Genesee St., Skaneateles. Visit redcrossblood.org or call (800) RED CROSS. Color Run for Matthew House, 9 a.m., Cayuga Community College campus and nature trail, 197 Franklin St., Auburn. Run/walk with 2.5K and 5K options. Registration begins at 7:30 a.m. Registration $35 ($30 for teams of three or more). To register, visit runsignup.com/race/ny/auburn/cayugacareswithcolorrun or find the event on Facebook. Blessing of the Bikes, 10 a.m., Christ Episcopal Church, 25 N. Main St., Jordan. Short service and blessing followed by one-hour ride and cookout. Free and open to the public; donations welcome. Call (315) 689-3141. Skaneateles Town Square 10th anniversary carnival, 11 a.m. to 4 p.m., 61 Fennell St., Skaneateles. Dunk tank, carnival games, barbecue from 11 a.m. to 1 p.m. and magician from 1 to 4 p.m., and more. Free and open to the public. Call (315) 685-5748. "Made in NY" artist Sally Hootnick, of Manlius, demonstrates hot and cold encaustic techniques, 1 p.m., Schweinfurth Art Center, 205 Genesee St., Auburn. Free with exhibit admission ($7 or less); registration required. Call (315) 255-1553 or email info@schweinfurthartcenter.org. Warblers and Wine Van Tour, 1 to 4 p.m., Montezuma Audubon Center, 2295 Route 89, Savannah. Trip to Thorpe Vineyard on Lake Ontario. Cost $20 for adults 21 and older; prepaid reservations required. Call (315) 365-3588 or email montezuma@audubon.org. Rhythm in Motion Dance Studio: "Jump, Jive & Wail," 7 p.m., Auburn Public Theater, 8 Exchange St., Auburn. Tickets $20. Visit auburnpublictheater.org or call (315) 253-6669. Bring in Spring Horse Show with Bridle Path Manor, 8 a.m., Toyota Coliseum, New York State Fairgrounds, 581 State Fair Blvd., Geddes. For admission information, visit nysfairgrounds.ny.gov. Tim Warner, 6:30 and 9 p.m., Lost Horizon, 5836 Thompson Road, Syracuse. For ticket information, visit ticketmaster.com. Comedian Sal Vulcano, 8 p.m., del Lago Resort & Casino, 1133 Route 414, Tyre. Sold out. Visit dellagoresort.com. Honey Bee Jubilee, 9:30 a.m. to 6 p.m., Varick Winery & Vineyard, 5102 Route 89, Romulus. Honey-inspired food with wine tastings. Cost $5. Visit varickwinery.com. Jim Van Arsdale and Connie Patti, 6 to 8 p.m.; Inside Job, 9 p.m. to midnight, Moondog's Lounge, 24 State St., Auburn. No cover. Call (315) 253-3339 or visit moondoglounge.com. John Lerner, 7 to 10 p.m., Parker's Grille & Tap House, 86 Fall St., Seneca Falls. No cover. Call (315) 712-4152. Infinity, 9 p.m. to 1 a.m., Tidal Wave at Falcon Lanes, 75 Pulaski St., Auburn. No cover. Call (315) 252-9398. The Mersey Beatles: "Abbey Road" 50th anniversary concert, 7:30 p.m., Smith Opera House, 82 Seneca St., Geneva. For ticket information, visit thesmith.org or call (315) 781-LIVE. Weekend Guided Walks: Spring Warblers, 2 p.m., Beaver Lake Nature Center, 8477 E. Mud Lake Road, Baldwinsville. Admission $5 per vehicle. Call (315) 638-2519 or visit onondagacountyparks.com. "The Book of Mormon," 2 and 7:30 p.m., Landmark Theatre, 362 S. Salina St., Syracuse. For ticket information, visit ticketmaster.com. Boy Scout Merit Badge: Amphibians & Reptiles, noon to 3 p.m., Montezuma Audubon Center, 2295 Route 89, Savannah. Cost $8 per Scout; prepaid reservations required. Call (315) 365-3588 or email montezuma@audubon.org. Rhythm in Motion Dance Studio: "Jump, Jive & Wail," 3 p.m., Auburn Public Theater, 8 Exchange St., Auburn. Tickets $20. Visit auburnpublictheater.org or call (315) 253-6669. Mother's Day chicken barbecue, 11 a.m., Auburn Moose Lodge No. 1419, 83 Wall St., Auburn. Cost $10 dinners, $7 halves. To preorder, call (315) 253-2301. Jazz on Tap: Jeff Stockham, 2 to 5 p.m., Finger Lakes on Tap, 35 Fennell St., Skaneateles. No cover. Visit cnyjazz.org. No Filter, 6 to 9 p.m., Swifty's Tavern, 45 Perrine St., Auburn. No cover. Call (315) 252-6309. NEEDTOBREATHE, 7 p.m., State Theatre, 107 W. State St., Ithaca. For ticket information, call (607) 277-8283 or visit stateofithaca.org. Bound for Glory: Castlebay, 8 to 11 p.m., Alternatives Library, Anabel Taylor Hall, Cornell University, Ithaca. No cover. Visit boundforglory.org. "The Book of Mormon," 1 and 6:30 p.m., Landmark Theatre, 362 S. Salina St., Syracuse. For ticket information, visit ticketmaster.com. Community Caring produce giveaway, 3:30 p.m., First Love Ministries, 151 Wall St., Auburn. Brutus Town Board, 6 p.m., town municipal building, 9021 N. Seneca St., Weedsport. Call (315) 834-9398. Fleming Town Board, 6:30 p.m., town hall, Dublin Road, Fleming. Call (315) 252-8988. Marcellus Town Board, 7 p.m., town hall, 24 E. Main St., Marcellus. Springport Town Board, 7 p.m., Springport Town Hall, 859 Route 326, Springport. Call (315) 889-7717. Victory Town Board, 7 p.m., Victory Town Hall, 1323 Town Barn Road, Victory. Call (315) 626-6462. Fair Haven Village Board, 7:30 p.m., Fair Haven Village Office, 14523 Cayuga St., Fair Haven. (315) 947-5112. Ledyard Town Board, 7:30 p.m., Ledyard Town Hall, 1099 Poplar Ridge Road, Ledyard. Call (315) 364-5707. "Minecraft" party, 3:30 to 4:30 p.m., Seneca Falls Library, 47 Cayuga St., Seneca Falls. Visit senecafallslibrary.org. Auburn Rotary Club annual dinner, 5:30 p.m., Springside Inn, 6141 W. Lake Road, Fleming. Honoring Robert Edmunds, David Gould and Tom Ganey as Paul Harris Fellows, and annual scholarship presentation. For ticket information, visit auburnrotaryny.org or facebook.com/auburn.rotary. Moravia Area Garden Club flower planting, 6:30 p.m., Moravia Fire Hall, 38 Keeler Ave., Moravia. Email magic13118@gmail.com. Classic Film Tuesday: "A Shot in the Dark," 1 p.m., Auburn Public Theater, 8 Exchange St., Auburn. Free and open to the public. Visit auburnpublictheater.org or call (315) 253-6669. Screams & Screens: Scary B Movies at the Auburn: "Blonde Ice," 8 p.m., Auburn Public Theater, 8 Exchange St., Auburn. With introduction by Ed Catto. Admission $2. Visit auburnpublictheater.org or call (315) 253-6669. Merry May luncheon and program, 11:30 a.m. to 1 p.m., Sunset Restaurant, 93 N. Division St., Auburn. Featuring Susan Radcliffe, of Syracuse, presenting "Button Bouquets." Cost $14, inclusive. Call (315) 246-5164. Pasta dinner, 5 to 7 p.m., St. Mary's Church, 15 Clark St., Auburn. Cost $8 adults, $6 children younger than 12. Understanding and Preventing Foreclosure Workshop, 11 a.m. to 1 p.m., Homsite, 60 Clark St., Auburn. Free and open to the public; preregistration required. Visit homsite.org. Bereavement support group for family members of those who've lost loved ones to addiction, 5:30 p.m., HEAL offices, East Hill Family Medical, Suite 203, 144 Genesee St., Auburn. Visit healheroin.org. Skaneateles Library board, 6:30 p.m., Skaneateles Library, 49 E. Genesee St., Skaneateles. Call (315) 685-5135. Summerhill Town Board, 7 p.m., Summerhill Town Hall, 13606 Route 90, Summerhill. Call (315) 497-3494. Bereavement Support Group, 6:30 to 8:30 p.m., HOPE for Bereaved, 4500 Onondaga Blvd., Syracuse. Visit hopeforbereaved.com. Bereavement Support Group, 7 to 9 p.m., Oswego Hospital Cafeteria conference room, 110 W. 6th St., Oswego. Visit hopeforbereaved.com. Ruth Moody Band, 8 p.m., Auburn Public Theater, 8 Exchange St., Auburn. Tickets $22-$27. Visit auburnpublictheater.org or call (315) 253-6669. Maceo Parker, 8 p.m., Center for the Arts, 72 S. Main St., Homer. For ticket information, call (607) 749-4900 or email info@center4art.org. Shakey Graves, 8 p.m., State Theatre, 107 W. State St., Ithaca. For ticket information, call (607) 277-8283 or visit stateofithaca.org. Literary Legos, 3:30 to 4:30 p.m., Seneca Falls Library, 47 Cayuga St., Seneca Falls. Visit senecafallslibrary.org. 3D printing series, 5 to 6:30 p.m., Seneca Falls Library, 47 Cayuga St., Seneca Falls. Visit senecafallslibrary.org. Bereavement Support Group for Senior Widows/Widowers, 10 a.m. to noon; Bereaved Parents Support Groups, 6:30 to 8:30 p.m., HOPE for Bereaved, 4500 Onondaga Blvd., Syracuse. Visit hopeforbereaved.com. Jazz at the Plaza: Matthew Rockwell Group, noon to 2 p.m., Le Moyne Plaza, 1135 Salt Springs Road, Syracuse. No cover. Visit cnyjazz.org. All listings are free. For more information, call (315) 282-2245.